The creation of the wonderful Muffin Man vape juice is where it all took off for the One Hit Wonder brand and their now-internationally-famous juices. It was the first flavor the OHW Team created and it took off like a train. 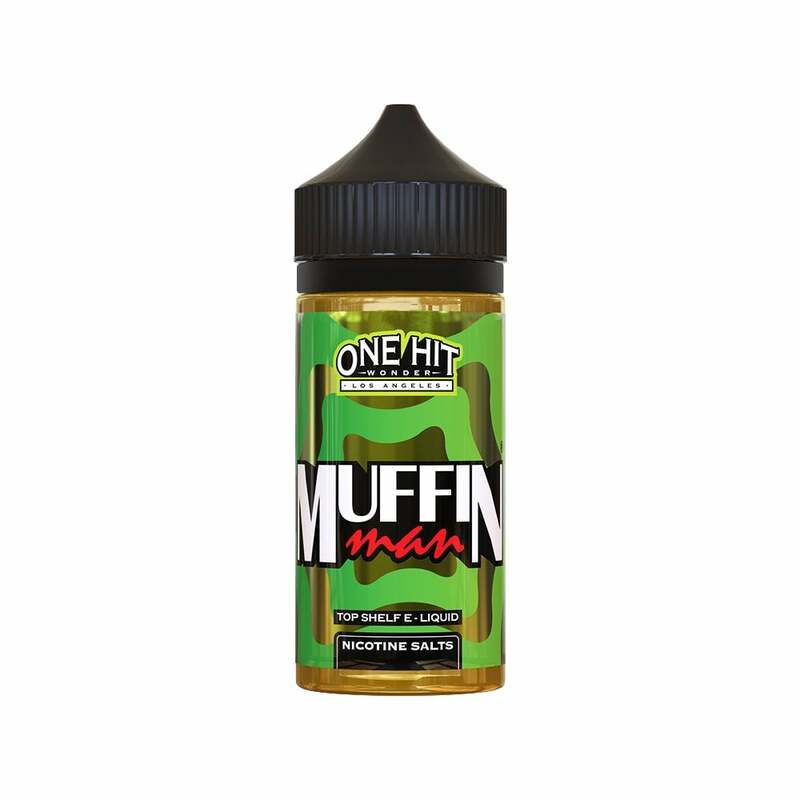 With a flavor that reminds you of Apple Jacks cereal, Muffin Man uniquely blends sweet apples with warm cinnamon muffin flavoring and is quite simply a game-changer. No longer are large quantities of liquid perceived as the lower quality liquids. Love the low nic and flavor is great. You can taste the muffin and fruit flavors. Will definitely try another flavor from this Co.
Well... The juice tastes great. I burned up my new voopoo coil pretty quickly. I didn't get through an entire tank before it burned up my coil. Thought it was good with sub-ohm tanks. Great stuff, tastes a whole lot like apple pie to me! Very nice to have an alternative to the high strength salt juices which are way too strong for me. I wish they would offer this in 9 mg strenght. My favorite daily vape. It tastes more like warm apple pie than a muffin, but it's so satisfying and smooth. My all-time favorite daily vape. Tastes amazing. This is a close 2nd to my Fav! will not disappoint for flavor! !